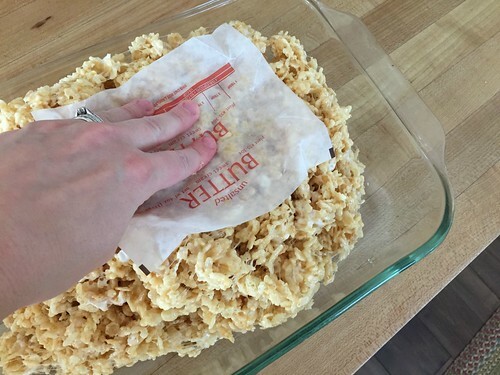 Although I LOVE chocolate, I have to admit that Rice Krispie Bars (a.k.a. “cereal bars” if you use off-brand cereal!) are one of my favorite snacks. My grandma ALWAYS made them for my sisters and I — even when we were in college (she was almost 90 at that time!) She called them “crispy cookies”, and although she hardly did any cooking or baking for herself, she often brought us a batch of her “crispy cookies” on Sundays when she came for dinner. 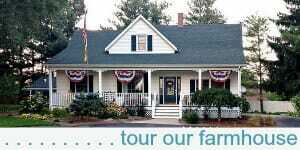 I think she may have even brought some to Dave and me after we were married! 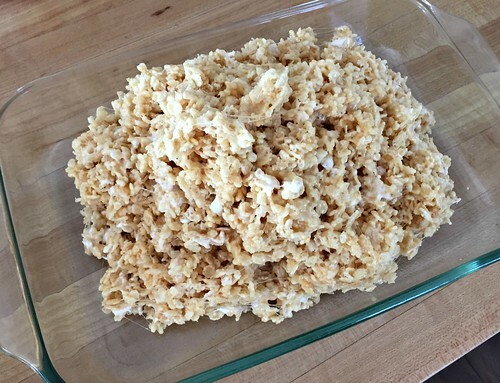 In some ways, I feel a little silly sharing today’s recipe on my blog — it’s one of those things I figure EVERYONE already knows how to make. However, after trying so many different tweaks and variations over the years, I finally have a version of this recipe that I feel is “the best”. These bars are so chewy and gooey, but not too sticky — thanks to extra butter. 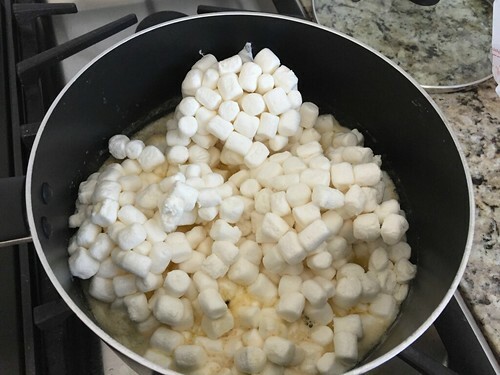 They also have little pockets of marshmallows within — thanks to adding some marshmallows whole at the end. 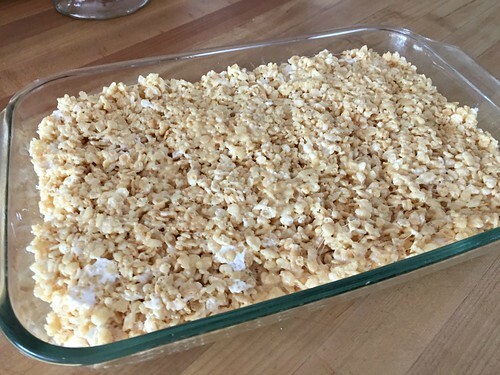 If you’re looking for a super quick treat to whip up for snacks, school lunches, an upcoming party, etc. Give these yummy cereal bars a try! 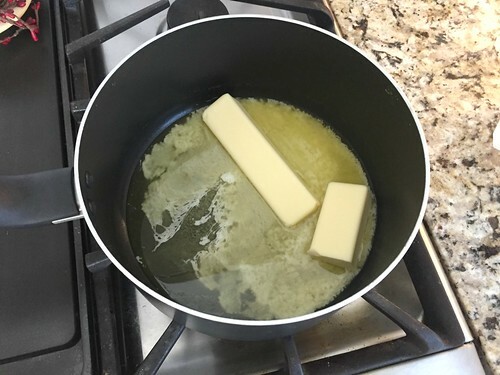 In a large pot (I alway use non-stick for this) melt butter over medium heat. 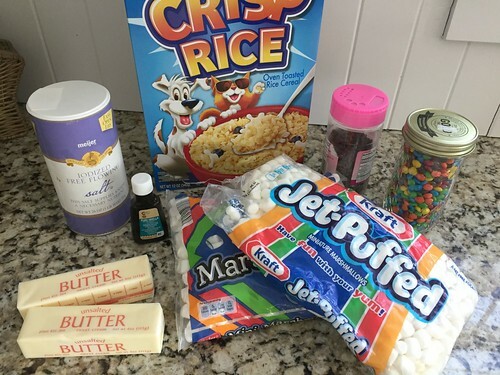 Add vanilla, salt, and 1.5 bags of marshmallows (save about 2 c. marshmallows for later). 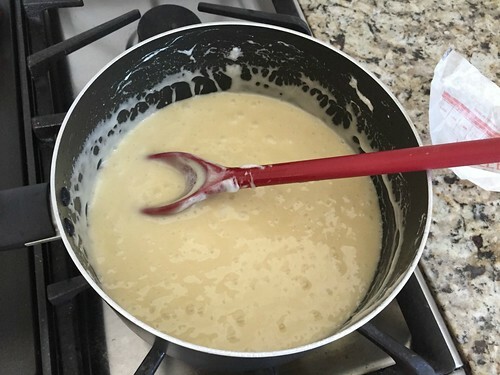 Stir until marshmallows are completely melted into the butter. Remove pan from heat. 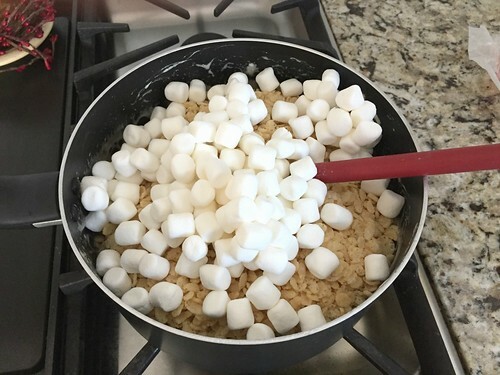 Stir in cereal and remaining 2. cups mini marshmallows (and any additional mix-ins). 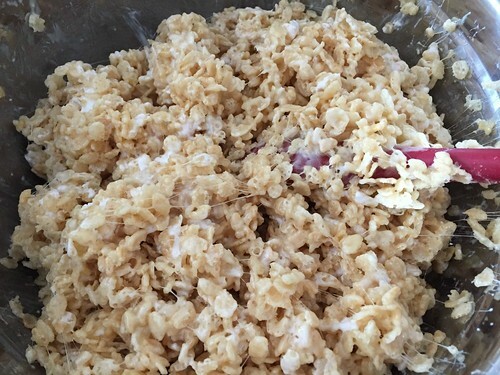 Scoop mixture into a greased 9″ x 13″ pan and press flat (I use wax paper or the butter wrappers). 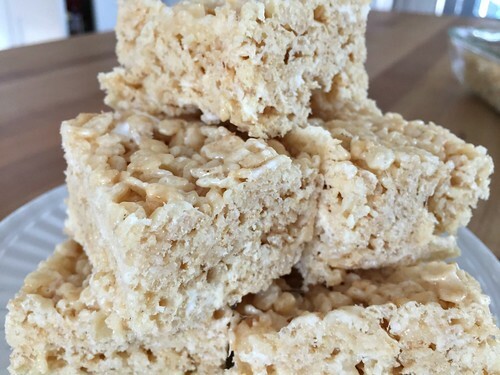 These bars freeze really well and are perfect after-school snacks! 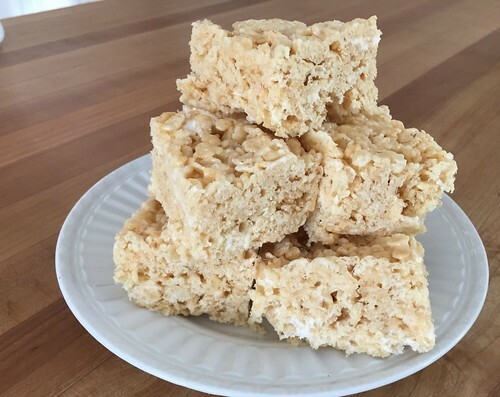 I often keep these in the pantry and/or freezer because they are a great for anyone who has a peanut allergy or a gluten allergy (if the cereal is gluten-free). It’s also very easy to make them look festive by adding food coloring to the marshmallow goo, or simply adding colorful sprinkles/sugar to the top of the bars. 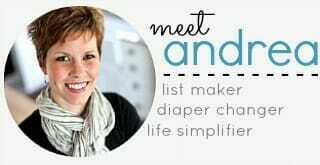 What are your favorite quick and easy snack recipes…? Biscoff Scotcharoos = NO Peanut Butter! These were the best ever!!! My husband and I had a hard time not eating them all in one sitting! I’ve never had such a great recipe for these before. This one is definitely the one I will use from now on!! oh yay – glad you liked them! 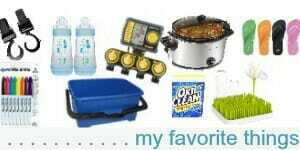 On Pinterest, you can find recipes where you add a quarter cup of dry, yellow cake mix. I really like that addition. We too use any cereal, usually what isn’t getting eaten as swiftly. I also use whatever flavor of marshmellows, as they have so many of those too. We make them when the campfire marshmellows start getting hard, as anyone eats the stale cereal covered in butter and marshmellows! Everyone loves these! What a sweet little story about your Grandma and the crispy cookies! Next time I will use your tweaks. I like to add a couple spoonfuls of peanut butter to mine. 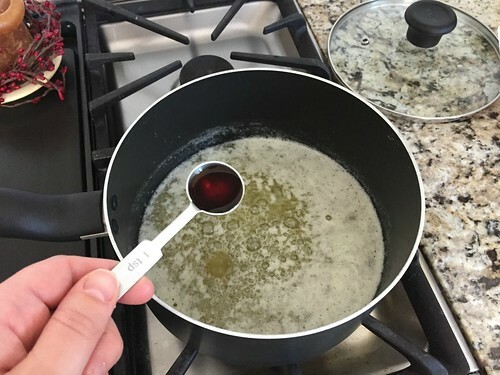 Also, the thing I like the most is to add is a couple tablespoons (I don’t measure…..just pour some in) of Karo Syrup. It helps to keep the bars nice and chewy. I like to add about a half cup of creamy peanut butter to the mix. Sooo good! My husband prefers to use Reeses Puffs cereal or Lucky Charms. So you don’t use the microwave to melt the butter and marshmallows? Maybe that’s my problem! Your version looks super yummy! I can’t wait to try it next time I make these.